This inspirational workshop will help you to explore new ways of interpreting still life drawings through the dynamic use of contemporary colour and shapes. The session aims to offer a new way of interpreting and re-energising the traditional medium of still life. By creating colourful, sassy and dynamic still lives (no dead fruit or skulls here) Alice creates beautiful shapes, colours and subject matter to help you gain confidence in drawing and enjoy the process of mark making. 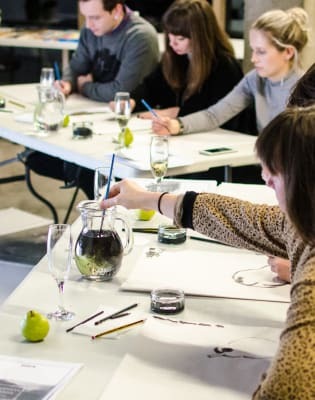 The class is appropriate for all skill sets, whether you’re a master mark maker or a complete beginner. Materials to use on the day, including watercolour paints, ink, a range of pastels, pens, pencils and charcoal. You will also be given a kit of materials to take away, including pencils, erasers, charcoal, and hand illustrated worksheets to help you continue drawing at home. Entrance to Cass Sculpture Foundation on the day of the event, tea, coffee and biscuits. To bring with you on the day: Feel free to bring any materials of your own you would like to use. 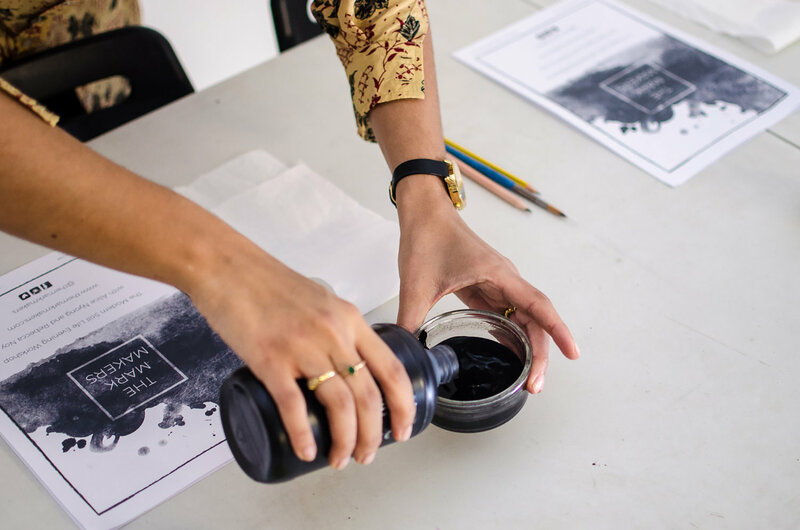 Indian Ink will be available, so you may wish to bring an overall or wear suitable clothing. About the workshop leader: The Mark Makers is a London based pop up drawing workshop, run by freelance illustrator and designer Alice Nyong. Alice started the workshops in early 2016 with an aim to bring lots of the creative things that she loved together in one place. Fun and non - stuffy, the Mark Makers is about having some time to yourself, to be creative and expressive with no pressure from others or yourself. 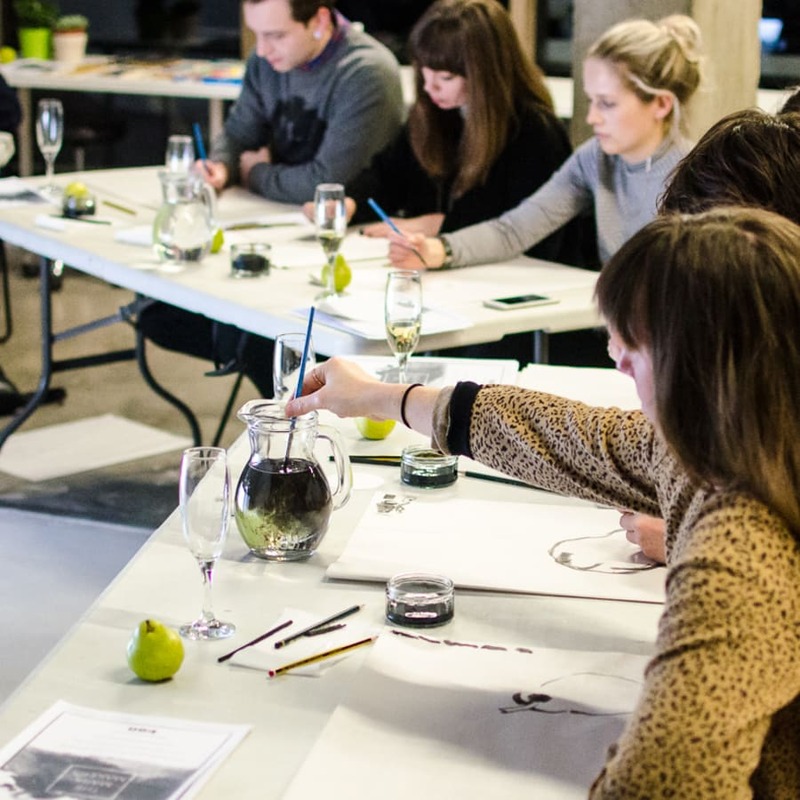 The Mark Makers is a London based pop up drawing workshop, run by working practitioners and friends Alice Nyong and Becky Noy. Fun and non - stuffy; the workshops offer a new way of interpreting the traditional medium of still life. With a curated kit of materials to take away to help you get drawing at home.